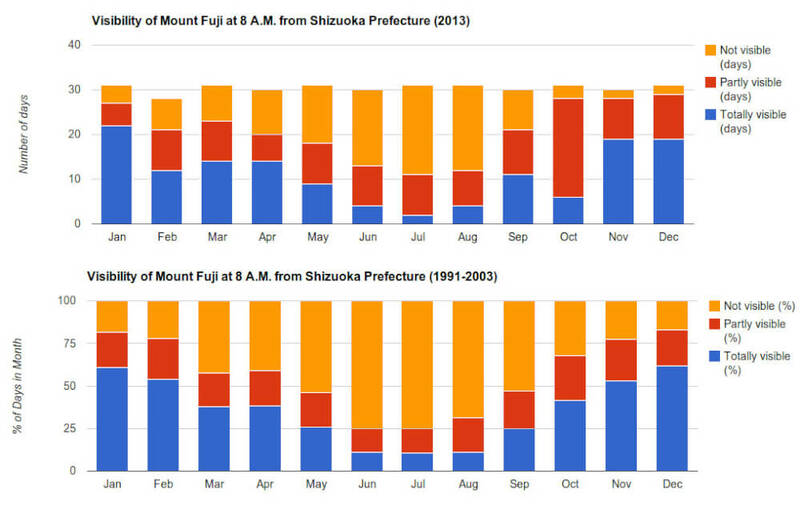 Historical visibility of Mount Fuji by months. Graph plotted using data from the Municipal Office of Fuji City, Shizuoka Prefecture. 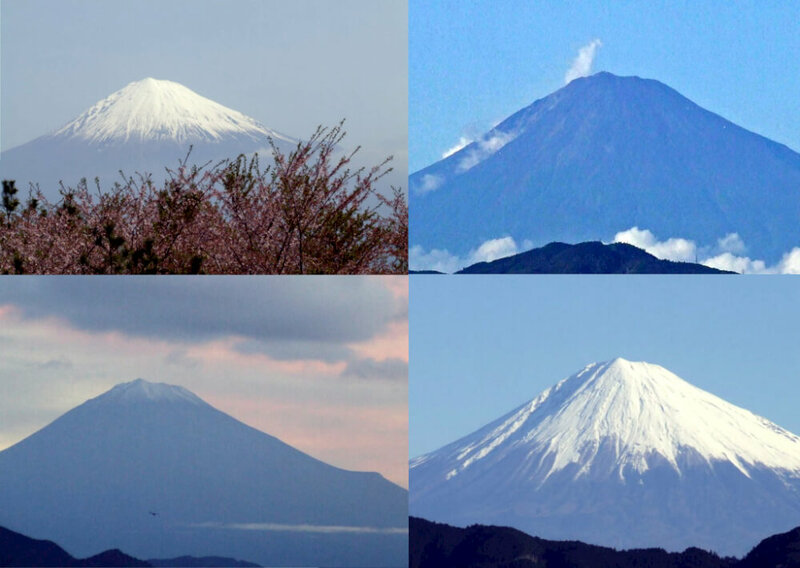 If you refer to the above charts, it would be almost immediately clear that the best months to see Mount Fuji in its full awesomeness would be somewhere between October and February. In other words, while the weather is cold as the cooler seasons have higher atmospheric visibility. The worst times to attempt to view Mount Fuji would be the summer months between June and August. While March to May is generally still cool, springtime haze often occurs which diminishes the visibility of the sky. Typhoon peak seasons in August and September also often contribute to poor visibility. While we may have past records on hand, the weather is never the same from year to year and choosing the right day is also not easy. Weather forecasts specific to the Fuji area are often for deciding a few days in advance whether to go ahead with plans or to reschedule. Weather forecasts are remarkably accurate in Japan and the Japan Meteorological Agency (JMA) is one such source. There are also other more specific forecasts meant to help climbers intending to scale Mount Fuji (such as this site). Things to look out for are rain and cloud cover. Panoramic view of Tokyo – minus the crowd Sighting Mount Fuji All About Hakone Some spots in urban Tokyo for viewing autumn colors Toranomon Hills Opening Soon!